Lennox manufactures furnaces, air conditioners, ductless mini-split systems, packaged units, controls, heat pumps, air handlers and more. Many of which are energy star qualified. The Merit™ series are the lower seer rating units and while a few decibels louder than the other series they also don’t have many other features. The Elite™ series are the mid-range units and go to a higher seer rating than the Merit™ series, are slightly quieter, and have features like two stage operation and a better warranty. The Signature™ series are the high end units. With the highest seer ratings and the quietest of the bunch they also have two stage operation and a better warranty as well as being solar ready and employ the icomfort™ enabled technology . When it comes to installing, servicing, or repairing a Lennox air conditioner or furnace choose the experts, Max Mechanical. We service Arlington, Dallas, Fort Worth and the entire DFW area. Do you need a quote on installing a new Lennox air conditioning unit in your home or business?Call 817-459-4100 or Contact us online for a free estimate. 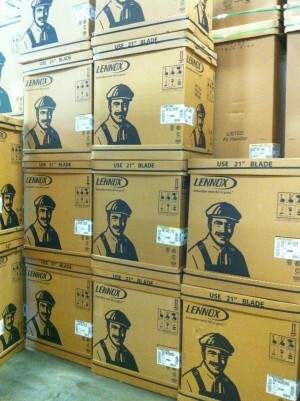 Are you looking for Lennox replacement parts for your HAVC or furnace? Call Max Mechanical, the Lennox repair specialists, at 817-459-4100 or contact us online for a price quote.